Regular Repairs Can Prevent Early Roof Failure, As Well As Undetected Leaks. ECO Commercial Roofing is well regarded as the top-tier source for roof repair in Texas, Louisiana, and Mississippi. We place a significant amount of value into regular repairs, and invite our clients to assume control of their roofing systems through scheduled inspections. As security for the residents and the property you invested in, the roofing system has to prove resilient to both the infrequent big storm and common wear. Our work consistently exceeds expectation, because we consistently deliver solid roofing systems. 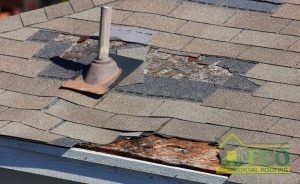 If you’ve just experienced a weather event or saw a few absent shingles, give us the chance to render your repairs. Periodic roof repair does a great deal more than simply lengthen the life of your roofing system. If you would like to find out additional information or arrange for maintenance, we’re available whenever at (833) 200-0571. Go with ECO Commercial Roofing at (833) 200-0571 the next time you want unbeatable service for roof repair in Texas, Louisiana, and Mississippi, TX. Lack Of Maintenance And Repairs Can Lead To Early Roof Failure And Water Damage. Every roofing system can benefit from regular repairs as the years go by. Below are two benefits to regular maintenance appointments. An undetected water leak can prove extremely harmful for a home. As we perform roofing repairs, we additionally take the time to review for water leaks, and perform the maintenance that prevents any future leaks. If pursued with regularity and control, reviews and consistent repairs will award you a longer-lasting, more resilient roof. Roofing maintenance is the most effective strategy for helping a house to achieve its longest lifespan. Roofing systems that have not been maintained have a negative impact on your house’s visual appeal. The service you accomplish on various other factors will matter not when considered against a roofing system that has never gotten the advantages of service. 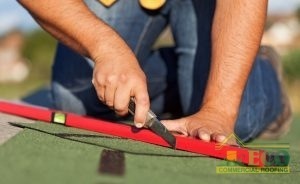 ECO Commercial Roofing will offer first-rate maintenance applicable to all roofing problems or situation. When you need any type of roof work in Texas, Louisiana, and Mississippi, choose the area team with the experience you can rely on. Give our team a ring now at (833) 200-0571 to discover additional information or schedule service.